I have a confession to make. I&apos;ve never been to a haunted house for Halloween. I like decorating our home, I like picking pumpkins, I like carving jack-o&apos;-lanterns, and I like eating my kids&apos; candy after they trick-or-treat, but I&apos;ve never set foot in a haunted house. I feel like this is a major void in my Halloween existence, so I set out to find where in Hendricks County I can go to get my scare on. FEARgrounds Haunted House It didn&apos;t take long to find out about the FEARgrounds Haunted House at the Hendricks County FEARgrounds -- er, I mean, Fairgrounds -- in Danville, Ind. 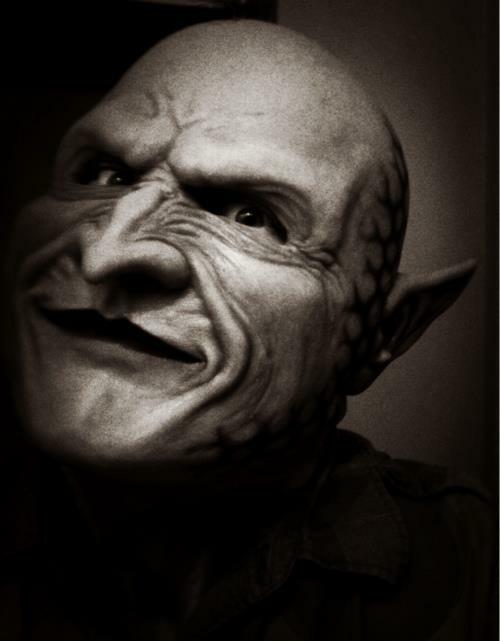 The haunted house is open from 7 to 11 p.m. Friday through Sunday, Oct. 19-21 and 26-28 to scare the pants off people. This professional-grade attraction prides itself on live actors, animatronics and themed rooms and is run entirely by donations and volunteers. This allows Haunts of Hidden River, Inc. -- which is a 501(c)(3) not-for-profit organization -- to take all of its net proceeds from ticket sales and pump them right back into Hendricks County in the form of donations to a number of service organizations in the community. I thought that was pretty cool, so I asked Megen Morgan, a member of the attraction&apos;s Boo Crew, more about it. "Exactly how scary is this haunted house?" I inquired. "It&apos;ll scare the yell right out of you," she replied. Oo. Maybe I&apos;m not ready for that. I think I&apos;ll send my 6-year-old and 5-year-old daughters through it first to see how scary it is before I venture in. While that plan sounded absolutely brilliant to me, Morgan disagreed. She advised that the "Full Scare" nights are not recommended for kids under the age of 10. Instead, she suggested -- with a slight smirk on her face -- that big chickens like me can take younger kids to "Flashlight Tag with a Ghoul" from 7 to 9 p.m. on Oct. 18 and 25. It&apos;s fully-lit and designed for fun, rather than fright, on those two nights. 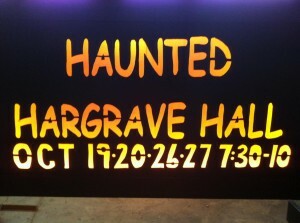 Haunted Hargrave Hall So now that I have one haunted house marked on my calendar, where else can I go to scare myself? 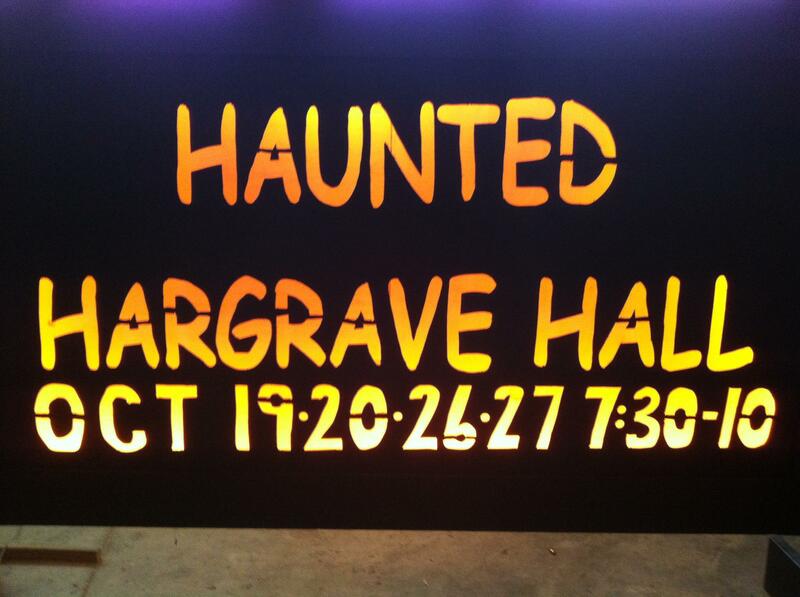 I saw a sign about Haunted Hargrave Hall on Main Street in front of the Danville Town Hall, so I was curious. I&apos;ve heard stories around town about Hargrave Hall actually being haunted, but I never know what to believe, so I asked Stan Wilson with the Danville Parks & Recreation Department about it. "I can neither confirm or deny that Hargrave Hall is haunted," he said ominously. "You&apos;ll have to find out for yourself." I&apos;ll spare you the conversation we had about me sending my kids in first to test the hauntedness, but I did learn that Hargrave Hall will be lights-on for the youngsters from 5 to 7 p.m. Oct. 27. It&apos;s lights-out and scare-on, though, from 7:30 to 10 p.m. Oct. 19, 20, 26 and 27. Priced at just $5 per ticket, it&apos;s the most scare for your buck in Hendricks County, Wilson said. Chateau Thomas Halloween Masquerade Ball Not into screaming your guts out for Halloween? Those looking for a little more dignified Halloween spirit need look no further than Chateau Thomas Winery in Plainfield, Ind. From 7 to 11 p.m., Oct. 27, the award-winning winery is hosting its First Halloween Masquerade Ball. A DJ will be on-hand to play all your favorite music while you indulge in the spooky buffet. Make sure you wear your best Halloween costume, too, for the contest that follows! Tickets are $35 a person, $60 a couple, and can be had by calling (317) 837-9463. Advance reservations are required. 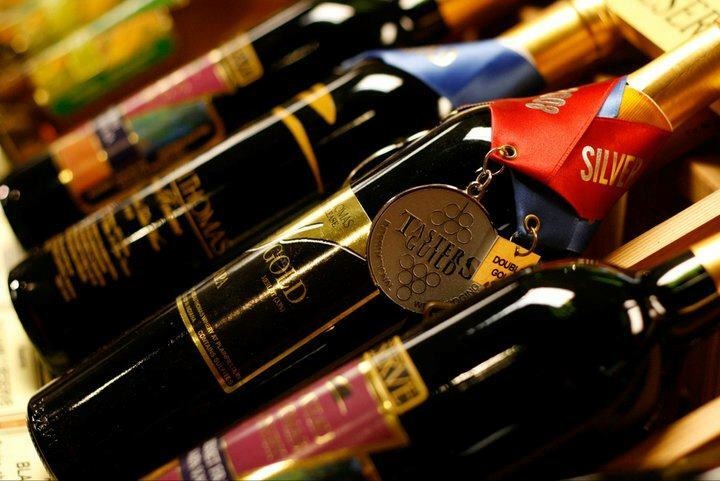 For $135, you can also purchase an overnight package for the event, which is a fantastic idea if you plan to sample the delicious Chateau Thomas wine while you&apos;re there. Otherwise, you&apos;ll be discovering just how spooky the Hendricks County Jail is.